A Bang also called fringe is a great way which can totally change your style of looking. That is why more and more girls are fond of keep a good looking long bang, However, when you want to keep a beautiful long bangs, but the bangs is not long enough, and you don’t have spare time to ask your stylist for help, then here comes some tips for you, so that you won’t need to worry about your mid-long hair bangs. When your bangs is of the mid-long status, you can separate your hair bangs based on 2:8 percentage and then weving them into the Scorpions-braids. Scorpion braid is a combination of retro and fashion hair braid, it is nice and romantic. An elegant scorpion braid hairstyle will make you rapidly enhance the temperament, making the whole shape of cute and cool. Then loosen the scorpion-braid with your fingers, so it won’t make your forhead looks so big. But if your hair bangs is long enough, then you can directly wrap your braid around on your head and cover your bangs with the braids, make it looks without bangs style. If your hair bangs is long enough, you can split them from the middle into two parts and then tie them up on the back of your head, remember to loosen them with your fingers, then your hair won’t looks thin and collapse. Matching with your long hair, you will be the princess. If you are owning a very full hair bangs, you can base on 7:3 percentage separate your bangs, it will allows your bangs full of layering taste. If you have a charming chin, then the middle part bang style will be a good choice for you, and make you face do not look so long and more beautiful. 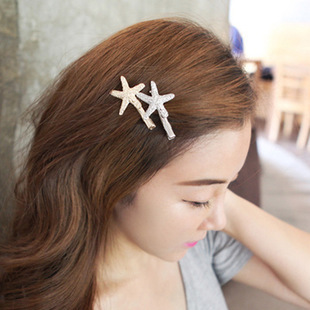 There is a convenitent way to keep your bangs which is using the clips. But please remember use the hair dryer blow your hair loose first, and clip part of your bangs with the hair, not all of them, only then can keep it look natural fluffy and won’t make you be a housewife look. Of course, there are lots of clips style you can make, sometimes, just cross the clips will make it look different too. 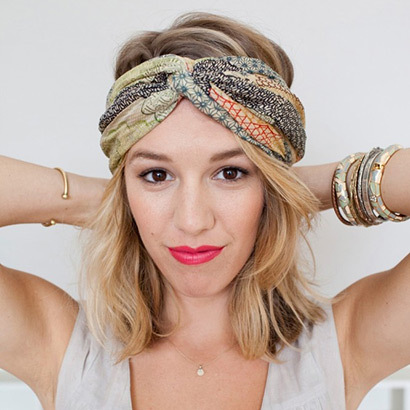 Another convenient way to keep the bangs, maybe it is using the scarf or hair band. You can completely surround the bangs with a scarf or hair band, which make you in a Hawaii vacation feeling and you do not need to worry about the bangs will block your sight or not. And there are so many beautiful scarf you can choose, just pick your style. 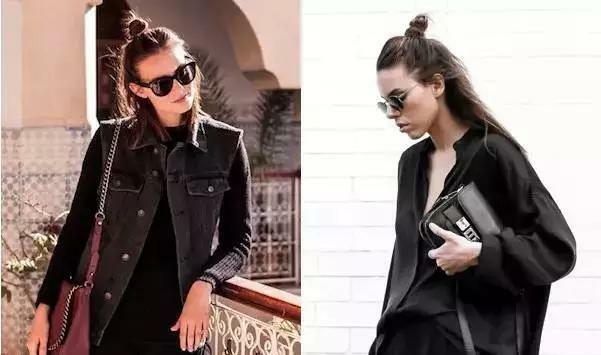 If you are owning a small forehead and slim face, you can comb your bangs up and tie them into buns on your head entirely, but do not tie too much side hair together, let them decorate the face naturaly. If your forhead is a big one, then leave few layer bangs cover the forehead then tie the other bangs and hair into semi-tie bun style. I hope these have help you deal with your mid-long but not long enough bangs. When your bangs is long enough, then you will know everything is worthy.